The price of necessary and seasonal vegetables is on the decline though some of the prices are still beyond the reach. Besides, the rice price is also stable in the local markets for a notable period of time. The prices of other daily necessaries are also under control. So, the ordinary people are having a sense of relief. Investigations in some of the city markets have found that the price of edible oil is still unchanged though the price is reduced in the international market. The prices of rice and garlic are under control. However, there is still no change in onion price. Traders are of the view that the price of rice will see a reduction in near future as the paddies are not yielded yet. Owing to a heavy cold, the transportation of vegetables and other necessary products to the city is hampered. And so, the city markets cannot get the fresh rice, they opined. The price of daily commodities like flour, edible oil, green chili, papaya etc. are fluctuating for past couple of days. The edible oils are sold within TK 105 for per liter. Besides, rice is sold at Tk 55 per KG while the finest one is being sold at Tk 65. 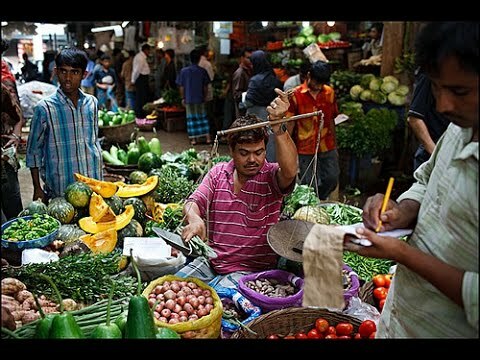 The prices of vegetables are also on the decrease. The traders are of the view that the prices will go down in next few days. The market for beef and other meats is also reasonable. At present, beef is sold by Tk 520 -550 for per KG in different city markets. The price of poultry products is also under control. The buyers have expressed the dissatisfaction over the recent price hike of necessary products. They alleged that the traders are increasing the price with some lame excuses like supply shortage. Most of the city markets are now filled with seasonal and fresh vegetables. Most of the products are now under the purchase limit of the common people.